Mind map is an innovative way of taking notes and elaborating over any concept and idea that explains any concept better than the traditional way of note taking. The mind map is created by using words, images and colors whereby a central idea represented by a word or an image which may be further developed and its relation with the other associated concepts are visually represented. Mind map helps in coming up with new ideas and helping in grasping the entire gamut of relationship through a simple visual representation. The discussion and elaborating over the core concept becomes much easier and effective with the help of mind map. Mindmup is an elaborate Mind map brain storming tool resource that helps you to create your own mind map. It is a free online mind mapping tool that provides you all the relevant information which makes the process even easier. Mindmup helps you build upon your central concept and show its relation with the sub concepts. Text2mindmap is another online portal that provides you with all the necessary tools and resources to create a mind map on your own. A simple example of the mind map is given on the seasons and months of the year through which the beginners would get an idea about the nuances of mind mapping. Wridea is an idea management and brain storming tool that helps you to note down your innovative ideas and share it with your friends and colleagues. The idea can be later developed with more and more inputs to the central concept and it can do alone and individually or along with the other participants. Scribblar is a powerful tool that has made any business representation easier by creating schematic representation of various logistic diagrams and flow chart like images and it has made any business communication as well as tutorial classes easier. The service is available free of charge as well as paid account each providing access to the world of mind mapping and brain storming. Solvr is a fee online portal that claims to solve your problem of conceptualization and ideation. In this portal you input your problem and input the ideas to solve the problem and the software would create a visual imagery of the related problems. The problem would be considered solved if new problems do not arise along with the various connections. Bubbls.us is a brainstorming portal which has made the process of mind mapping easier. The interface of the soft ware would provide you a white board with a bubble from where you have to start. You enter the central idea and show its relations with its various aspects with the help of simple tools There are many examples already given in the portal that helps you to grasp the concept and procedure of mind mapping easily and then you can create your own mind map. Mind 42 is a powerful portal that helps you in creating mind maps and flowcharts to solve personal agendas as well as for business and research and development purposes. There are many examples given for you to help- you to understand the basic nuances of mind map. 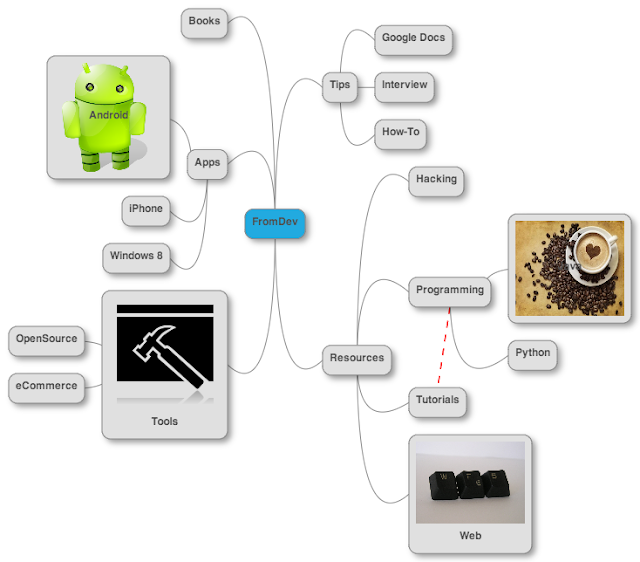 MindMeister is a portal that claims to have made the tools and software of mind mapping and brainstorming easier. By using this tool you get the benefits of the latest software to build your ideas to be used in business conferences, tutorial and even for household needs. Mindomo is a portal that helps in breaking down complex concept and business ideas into many sub relations that helps in brainstorming and coming up with innovative solutions. It has powerful software that translates ideas into images and helps bring out the concept under a clearer light. Gliffy claims to have made the process of diagram making easier. Any business idea however complex it might be would be restructured and sales chart, flow chart, UML diagrams are easily drawn and made easier to understand in visual parlance using this portal. Mapul is another portal that has made the mind mapping easier. There are many examples of mind maps given so that you can easily grasp the modus operandi of mind mapping. The softwares are easy to use and they can be used in any occasion be it for business presentation, research work or teaching. Comapping is powerful online software that helps in sharing information for research work and for business organization. The software helps you to organize your day to day task and brainstorming over complex and new ideas that can be made easily understandable using a mind map. Flowchart.com as its name indicates helps in building a varied kind of flowchart to schematically represent the flow of ideas, concepts, processes, goods and services. IT is a powerful tool for the business houses to create flowchart about the operation logistics and helps them in finding an effective solution. Cacoo is a user friendly online drawing tool that helps you in creating mind maps, UML diagram, flowcharts and network diagrams and its simple but effective software helps in grasping the concept and ideas in an easy and understandable way. The drawing for personal ends and business gains has become easier using cucoo. Mindmeister had bought the advances of WEB 2.0 technology which has made it a leading tool in creating online collaboration and facilitate brain storming. Creating mind maps are not only used for the business houses, it helps in sharing ideas and information in research and development sector. Bubbls is a very effective tool in creating mind maps and collaborative diagram where a complex idea or problem is broken down into simpler nodules and through a complex web of interrelations the whole concept is elaborated. Freemind is a free mind mapping software written in Java. It is a very powerful tool than is best suited in research and development work or if you have your own germ of innovative idea to build a whole new set of thought system over it. Another website that I have found is useful when learning What is a Mind Map? is lucidchart. Their site is very user friendly and helpful!